Are you Single and haven’t found the “RIGHT” partner? Are you divorced or widowed and worried about starting over? Do you feel frustrated, always finding the same relationship problems? Are you tired of being ALONE, but not sure you’re ready for a partner? Do you sometimes wonder if maybe something’s WRONG with YOU? Have you about decided you NEVER want another relationship? Have you almost given up ever finding LASTING LOVE? …A 2+ Day Workshop to Learn Secrets to Find & Keep Lasting, Fulfilling Love! Deep down, you know you deserve a JUICY, LASTING LOVE of your LIFE! Engage in FUN, LAUGHTER & PLAY with other LIKE-MINDED SINGLES! Unlike our Parents and Grandparents, Relationships are NOW COMPLEX! When they were raising families, it was all about SURVIVAL – pay the bills, put food on the table, a roof over their heads, clothes on their backs and raise the kids! Roles were clearly defined – Women knew what to expect of men and men knew what to expect of women. It’s NOT THAT WAY anymore, but we all have the old relationship patterns imprinted in our Brains! BREAK from your UNCONSCIOUS RELATIONSHIP PATTERNS! A recent national survey showed that 95% of all marriages are only just OK TO MISERABLE. In fact, while the national divorce rate is 50%, California is 67%! In other words, 2 out of 3 marriages end in divorce and that’s only in the 1st 7 years! And that doesn’t include long-term, unmarried couples or cohabiting couples who break up. Nor does it include married couples living together in long-term, LOVELESS relationships, SIMPLY AS ROOMMATES. Secrets to CONNECT on a DEEP and MEANINGFUL LEVEL. I know YOU ABSOLUTELY DON’T WANT THAT KIND OF RELATIONSHIP! I want you to know that it doesn’t need to be this way! Relationships and Marriage can be loving, fulfilling & satisfying. But this kind of relationship is NOT the “live-happily-every-after” kind of fairytale relationship we all grew up hearing about! This NEW kind of relationship REQUIRES MUCH MORE of us! Dispel the 2 MYTHS that SABOTAGE your relationships. Since the Women’s Movement of the 70’s, women have taken hold of the “Reins” of Relationship and are insisting on equality, fidelity, connection, emotional intimacy, teamwork and communication. Now while those are amazing goals for a relationship, most people don’t know how to achieve them. Additionally, with only a few exceptions, many men are still in the mindset of wanting their parents’ more traditional relationship and many couples don’t really know what they want! These differing expectations create conflict that MOST don’t know how to solve! RESOLVE CONFLICT in romantic, platonic or professional relationships! We are not genetically or socially programmed for TODAY’S Relationships! Most of us did not have parents who modeled a healthy Relationship anyway, and many were divorced. Even if they had a healthy relationship, they did their “work” in private, so we didn’t see it. Finally, unfortunately, there is NO MODEL OR MANUAL that TODAY’S relationships come with! Today, with differing expectations, no model of how to do this NEW relationship, and DIVORCE being so accepted, the ODDS are stacked AGAINST OUR SUCCESS! To have lasting, fulfilling love like we want today, Singles MUST LEARN how to do this NEW kind of Relationship! And because Relationship HABITS form quickly, it’s better to learn BEFORE you are in a Relationship! MAP your JOURNEY to a JUICY, ENDURING LOVE! YES, YOU DESERVE A LOVING AND LASTING RELATIONSHIP! However, I understand that you may be feeling pretty hopeless about ever having the kind of relationship you’ve always dreamed of. One that is sweet, loving & passionate! One where you meet each others’ deepest needs. One where you grow together and where you bring out the best in each other! One where you maintain love, romance & passion throughout your lives! As YOU become the kind of Partner you have always dreamed of having a relationship with, you will naturally ATTRACT YOUR DREAM PARTNER into your life! Create your ATTRACTION ACTION PLAN to your DREAM Partner! Simply CLICK on the REGISTER NOW button BELOW. You will be taken to the NEXT PAGE, for Details, Dates and Locations. ABOUT CAROL: Carol has been married for 49 years and has been a successful Licensed Marriage & Family Therapist for over 27 years. 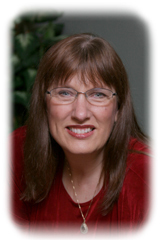 As a Certified Imago Relationship Therapist & Workshop Presenter, Carol presents workshops for both Singles & Couples! Over the years, she has helped over a thousand people FIND, CREATE & KEEP LASTING LOVE by Beginning the Journey to the Relationship of their DREAMS! Why not let Carol help you to create the Relationship of your Dreams as well?